Water heaters are one of those appliances that usually sit forgotten in a basement or utility room until something goes wrong. When it does, it can put a serious crimp in your lifestyle. If you’re faced with a broken unit, the goal is to get a new heater in place as quickly as possible. Because water heaters are big-ticket items, it’s smart to think about the kind of water heater you want before it’s time for a replacement. Water heaters, on average, use 17 percent of a household energy budget. That’s more than any other home appliance, so it’s important to know how they operate. This guide will show how the most common types of water heaters work and what to consider when it comes time to replace the unit. 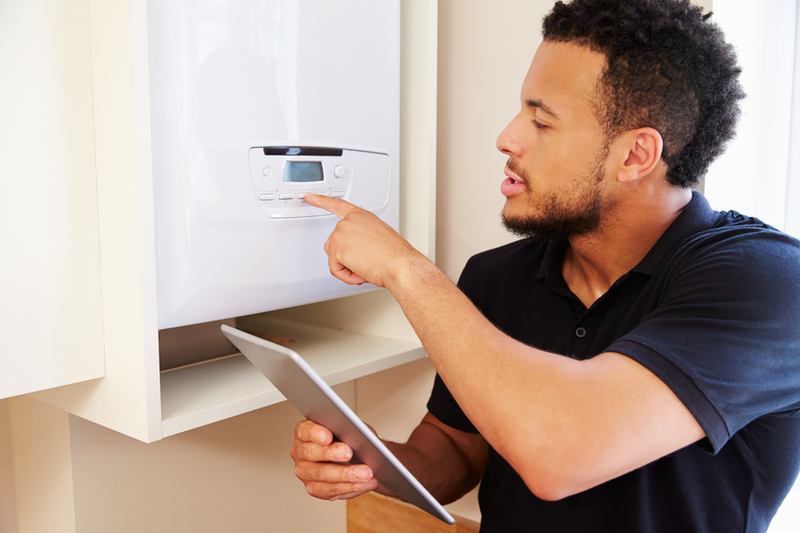 Homeowners are increasingly shopping around for water heaters with energy saving and “smart” features. Water heaters come in three broad categories: conventional tank, tankless and hybrids. Storage Tank Water Heaters. These are the most conventional water heaters. An insulated tank keeps water at a preset temperature—usually around 120 degrees—until you open a hot water tap. As you use the water, cold water flows into the tank to be heated. Tank water heaters vary in capacity from 20 to 80 gallons. They are powered by electricity, propane gas, natural gas or oil. In electric units, heating elements located inside the tank heat the water. Gas and oil water heaters contain a combustion chamber located under the holding tank. A flue goes up through the center of the tank so that combustion gases can be vented to the outside. Most gas water heaters rely on the natural draft of a chimney to vent the unit, but some models have a direct vent system where a fan expels the combustion gases. These types do not need a chimney and can be vented through a pipe that runs horizontally through a sidewall. Tankless Water Heaters. Unlike tank models that keep hot water on hand, tankless heaters heat up the water when you call for it, eliminating the wasted energy it takes to keep water at a set temperature. The Department of Energy estimates that for a family that uses about 40 gallons of water a day, a tankless heater is 24 to 34 percent more efficient than a conventional tank model. But the efficiency does drop off considerably if you use a lot of hot water. “These heaters are perfect for some lifestyles, but not all,” -Merle Henkenius, a licensed master plumber. Compared with a full-size tank, tankless heaters are small. They can be hung on a wall, freeing up floor space. They are powered by electricity or gas. Tankless heaters are available in both indoor and outdoor models. A whole-house tankless water heater. Hybrid Water Heaters. This is a catch-all term that includes heat pump water heaters, condensing units and indirect water heaters. Most hybrid technologies were developed to make water heating more energy efficient. *Heat Pump Water Heaters. These use electricity to extract heat from the surrounding air to help heat the water in the tank. A heat pump works like an air-conditioner in reverse. An air conditioner pulls warm room air into the unit, removes the heat from the air, and then dumps heat that it extracted from the room air outside. 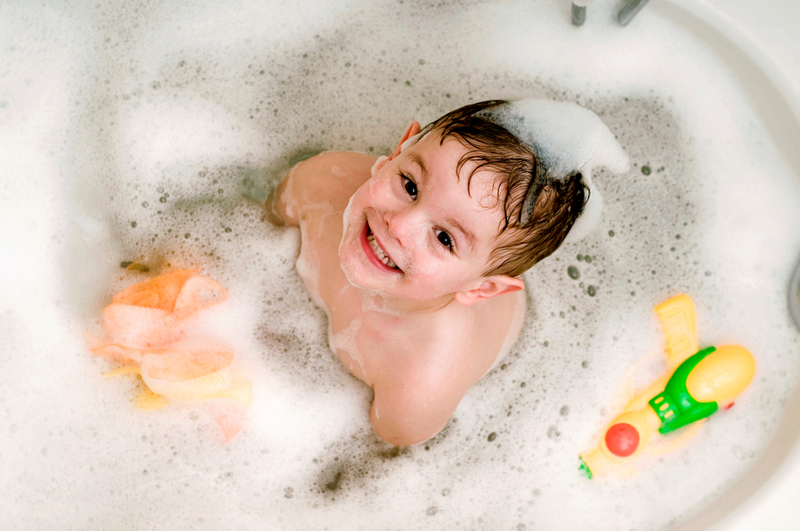 Rather than dump the heat, a heat pump water heater uses the extracted heat to warm the water. When the heat pump cannot handle the demand, backup electric elements take over. These units are extremely energy efficient. *Condensing Water Heaters. These are available in both tank and tankless models and are powered by gas. These units use some of the hot gases created during the combustion process to heat the water, rather than venting all of the gas to the outside. *Indirect Water Heaters. In these systems, the water heater storage tank is connected to a boiler or furnace. The unit heats fluid that is circulated to the storage tank, where a heat exchanger warms the water. *Solar Water Heaters. These circulate fluid through rooftop solar collectors. The fluid heats the water in the storage tank. Smart Water Heaters. A few manufacturers have developed water heaters with WiFi capability, meaning you can control them through a smartphone or tablet. These products are more sophisticated than standard water heaters. They have electronic controls and thermostats, making them more precise and easier to use. They can also run diagnostics on themselves to spot potential problems. Home appliances, including water heaters, are increasingly outfitted with WiFi capability to enable money and energy-saving control from your devices. When it is time for a new water heater, a good place to start is to consider what you have now. If the old unit provided plenty of hot water and you were satisfied with it, consider simply replacing the unit. Even if you install a standard tank water heater, the new model will probably be more energy efficient than the old one, thanks to updated energy standards that went into effect in 2015. However, there are many more energy saving options available to choose from. If you are unsatisfied with your water heater’s performance, you may want to consider one of the alternatives mentioned above. 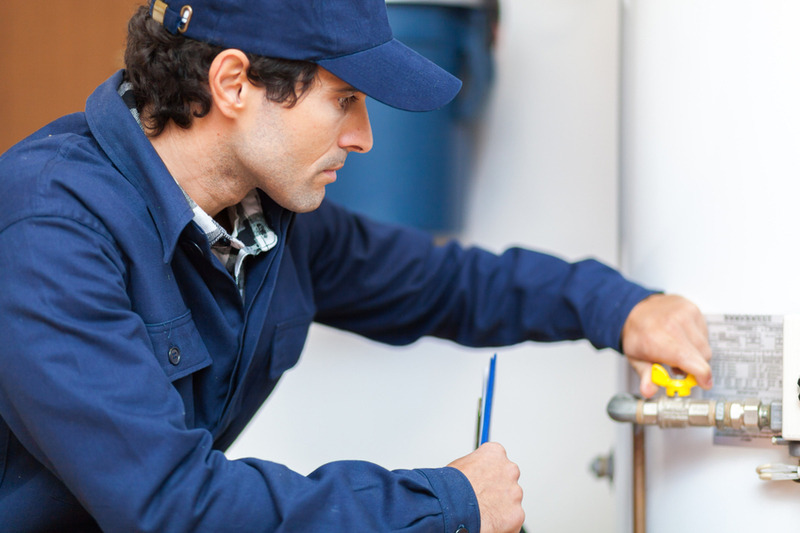 Water heaters come with warranties. In general, the longer the warranty, the more the unit will cost. Expect to see warranties from 6 to 12 years, but lifetime warranties are available. Choose a model with a warranty you are comfortable with. Residential tank water heaters, including heat pump water heaters, vary in capacity from 20 to 80 gallons. Of course, meeting the local building code is one aspect of sizing a unit. Another rule of thumb is to base the size on the number of people who regularly use hot water in the house. How many people live in the house (or could live there in the future) is a factor in determining the size water heater that you need. In addition to tank capacity, you should consider the First Hour Rating of the unit. This tells you how much hot water the unit will provide during a set period. Think of your household first thing in the morning. The water in the heater is at its set temperature. Then people start using the hot water. As they do, cold water rushes into the tank, mixing with the remaining hot water. The water heater senses a drop in water temperature and clicks on. All at once, hot water leaves, cold water enters and the unit works to keep up with the changes. The First Hour Rating takes into account the size of the tank, the efficiency of the heater and even the temperature of the cold water entering the tank. It can help determine the size of the heater you need based on peak demand periods. You will find it listed on the yellow energy label attached to the water heater and in the manufacturer’s literature. Because there is no storage tank, tankless models are sized by the gallons per minute (GPM) of water they can deliver. Find the right size for you by estimating your peak water demand. You may have to consult with a plumber to estimate your demand, but here are some averages for various plumbing fixtures. 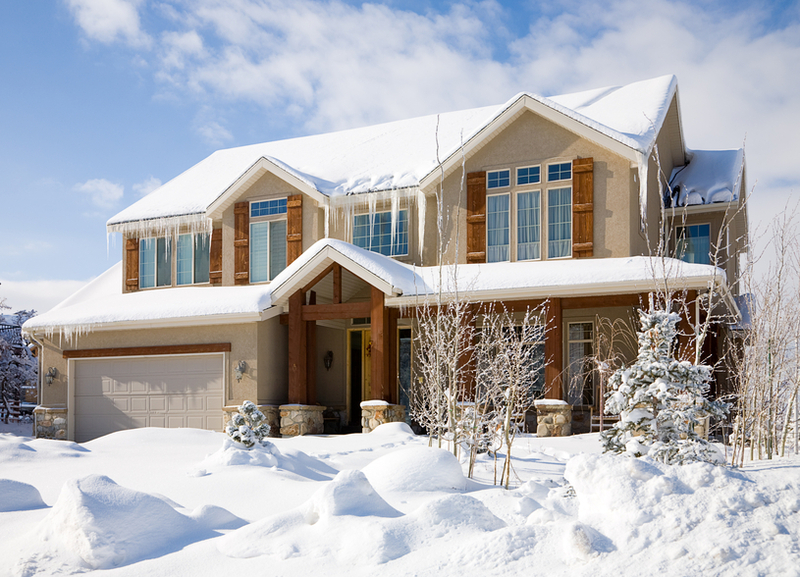 Homes in colder climates may require more powerful hot water heaters. You will also need to consider the temperature of the incoming water to determine how much the heater needs to raise the temperature of the water. Cold water temperatures range from an average of 35–40 degrees in the extreme North to 65–70 degrees in the South. The difference between the incoming cold water and the hot water leaving the unit is called the temperature rise. The maximum GPM for a unit may be 8 or 9 GPM, but if the unit must raise the temperature 70 degrees, the effective GPM could be cut in half. The manufacturer’s literature will provide GPM at different incoming water temperatures. There are two ways to pick a water heater based on energy efficiency. One is the EnergyGuide Label that comes with each unit. It displays the estimated cost for running the unit when compared with similar models. If the label shows the Energy Star logo, it means the appliance exceeds basic requirements and meets more stringent criteria for energy efficiency. The other is to consider the water heater’s energy factor (EF), which you can find in the manufacturer’s literature. This number reflects the efficiency of the heater in converting fuel—natural gas, propane and the like—into hot water. The EF is expressed as a decimal. An EF of 1 means that 100 percent of the energy is converted to hot water. For example, an efficient gas storage water heater might have an EF of .75. Some tankless water heaters can have an EF of .90-plus. A heat pump water heater might have an EF of 2.5 or higher, which means the heat pump produces more energy than it consumes. 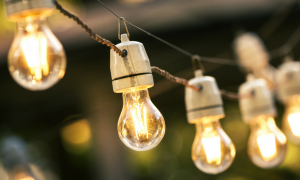 Here’s how products that meet minimum energy standards that went into effect in April of 2015 compare with products that meet minimum Energy Star requirements. 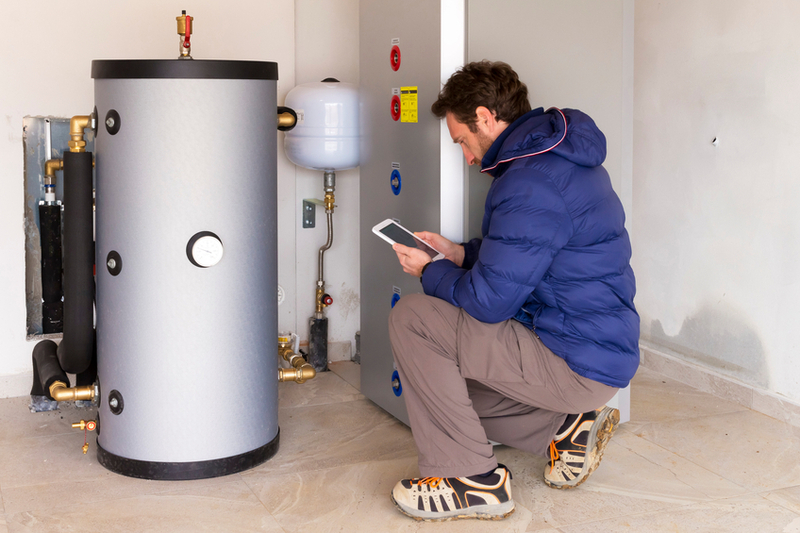 In general, highly efficient water heaters cost more than conventional models. 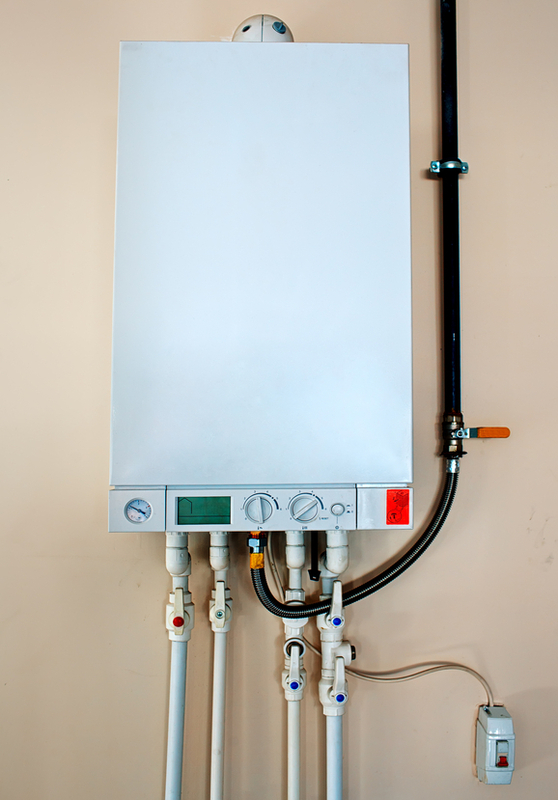 A heat-pump water heater can cost three times that of a conventional heater of the same size. But energy efficient products are designed to reduce energy use and save money in the long run. Federal tax credits for energy efficient appliances, including non-solar water heaters, apply to items purchased in 2015 and 2016, but the credit is scheduled to expire at the end of 2016. You can claim 10 percent of the cost of the unit up to $300. The items that qualify include heat-pump water heaters with an energy factor that is equal to or greater than 2, and gas and oil water heaters with an energy factor that is greater than or equal to .82, or a thermal efficiency of at least 90 percent. 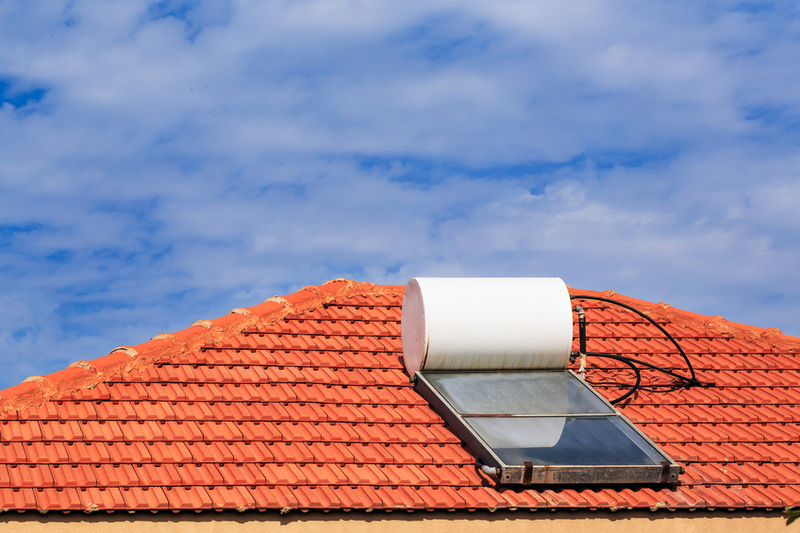 Those who install solar water heaters can earn a 30 percent credit. The solar credit expires at the end of 2021. If you install energy efficient equipment in your home, check the local utility for other rebate programs. While water heaters are not particularly complicated devices (especially conventional models with a storage tank), they should still be installed by a licensed plumber. A plumber will be familiar with the local building code requirements, and he will be able to handle any problems that may crop up. One thing to keep in mind if you plan on swapping out an old unit with a new one of the same size: If the water heater was manufactured after the new energy requirements went into effect in April 2015, it may be an inch or two larger in height and circumference. Manufacturers beefed up the insulation on units to help meet the new requirements. It is something to keep in mind if space is tight around an old water heater, and another reason to hire a pro to install the unit. To protect your home and family, hire a professional when installing a new water heater or conducting significant repairs. 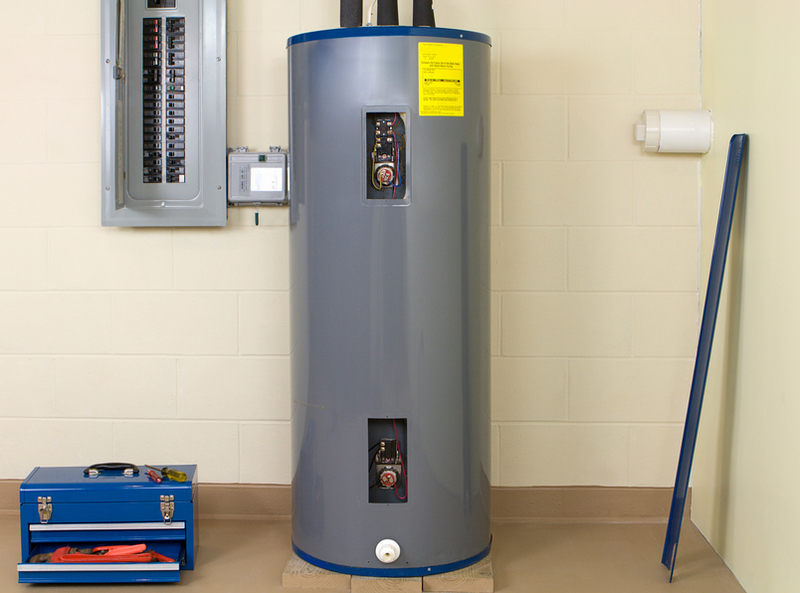 Here are some items that may be required with your new water heater. Building Permit. If you or your contractor applies for a permit, the finished installation will be inspected by a building inspector. This is one way to help ensure you have a safe installation. Dedicated Shutoff Valve. If there isn’t a valve attached to the cold water line just before it enters the water heater, the plumber will install one. The valve lets you shut off water to the water heater for maintenance and repairs without disturbing the rest of the home’s water system. Expansion Tank. When water inside the tank is heated, it expands, creating more volume. That extra volume has to go somewhere. In a “closed” plumbing system, the expanded volume that would normally backflow into the main water supply is blocked by a valve. The pressure builds up within your home’s plumbing system, and that’s where the expansion tank comes in. It contains a bladder with pressurized air on one side. It gives the extra volume of water someplace to go. When you turn on a hot water tap or the water in the tank cools, the pressure is relieved. Earthquake Straps. Some building codes, particularly in the West, require that water heaters be anchored to wall studs or approved blocking with metal straps. Drip Pans. Even if they are not required by code, drip pans are a good idea, especially if a leaky tank will cause damage. Most contain a drain fitting so that you can attach a hose to the pan. You can also get a battery operated leak detector that can be placed near the water heater or in the pan for under $20. This will alert you if there are problems. The life expectancy of a typical unit is 10 to 20 years, depending on the type and model. Ensure you get the best performance possible: Carry out simple maintenance tasks, and know when to call a plumber. Read the manual carefully and perform any routine upkeep required to make the most of your unit’s lifespan. Here are tips for reducing water heating bills. Replace old equipment with energy efficient models. Install low-flow shower and faucet heads. Reduce the water temperature in your water heater by adjusting the unit’s thermostat. Choose water saver cycles when using the dishwasher. Fix dripping hot water faucets. Fran Donegan writes home- and garden-related content for numerous digital and print publications. 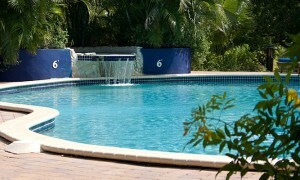 He is the author of the books Pools and Spas (Creative Homeowner Press) and Paint Your Home (Readers Digest). To learn more about water heaters like those referenced by Fran, please visit the Home Depot website. Home Tip of the Day: No Valentine's Day Babysitter? No Problem!